When I first moved to the area, I was much more aware of the trail. 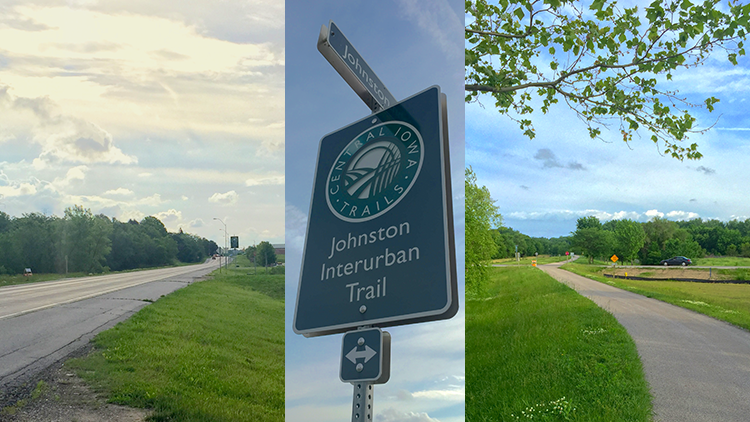 I knew that Des Moines had an extensive trail system and that this one must go on for miles in each direction. But the more I drove past it, the smaller the trails became in my mind. Soon enough, I thought of it as nothing more than a regular crosswalk. There has been a lot of research into how this type of repetition affects us. On the web, there’s a repetitive use phenomenon known as banner blindness, where people start to ignore information on a website after they’ve encountered it over and over. Your CTAs could suffer from the same problem of repetition. Many of them look so similar that you might be distracting visitors from their optimal conversion path––simply because they missed opportune CTAs. How Do You Avoid Banner Blindness for Your CTAs? When banner advertisements first came on the scene in the mid-90’s, the click-through-rate was about 44%. They were new, helpful, and almost never junk. Today, though, advertisers have converted the same spaces into spam––so users have grown used to ignoring all but .01% of them. With this dramatic decrease in click-throughs, you want to avoid confusing your CTAs with pesky ads. Keep it relevant – Map the CTA to the persona you’re speaking with and where they are at in the buyer’s journey. Make it an offer they want! Match your style guide – Make sure the CTA stands out, but still looks like the overall design of your website. It should complement your content, not compete with it. Be straightforward – Make sure the CTA copy is easy to understand and its message is clear. Tell the visitor exactly what to expect when they click, and deliver what you’ve promised. No one likes the rude guy at the party. Like this annoying guest, pop-up CTAs have a bad reputation for being invasive and interruptive. However, something that moves is something that gets noticed. How do you draw someone’s attention without being annoying? Parallax scrolling – Drawing attention to your CTA using parallax design can draw the visitor in with a natural, fun, interactive design. Because the user is directing the animation, and the animation doesn’t loop forever, it distracts less from their experience on your site. Slide-in CTA – Slide-in CTAs are designed to smoothly transition into view from the side of the screen. Similar to parallax scrolling, this is another alternative that is less distracting from the content. Don’t cover content – Speaking of the content (the reason your reader is really there! ), be polite with your design. Don’t cover the content on the page with your CTA. As modern marketers, our job is to be part artist and part scientist. Both jobs need a certain level of experimentation. CTA best practices are ever-evolving. To be a leader in this space means breaking through the noise. Inline forms – Instead of having visitors click on a CTA to go to a landing page to fill out a form, try bringing the form directly to them using an inline form as a CTA. Buttons – A simple CTA button is still relevant. Experiment with the copy and design to make it look and feel unique. Make it interactive – Try a poll question or treat your CTA like a survey to make it more of a conversation than a speech. Last, but certainly not least: The way to avoid banner blindness is to continue to track, report, and measure. This way, you can be aware of what is working and what isn’t. You won’t know whether your readers like your offers if you aren’t asking. Have some helpful CTA tips of your own? Leave a comment below. We’d love to hear from you.